Queen of Hearts – Horace Orr Post 29, Inc.
Week #2 of the Queen of Hearts was conducted on 9/11. We did not have a grand prize winner. The prize grows from $5,550 for week #3 on 9/18/2018. Must be a member to participate. See you Tuesday. Drawing at 6PM. 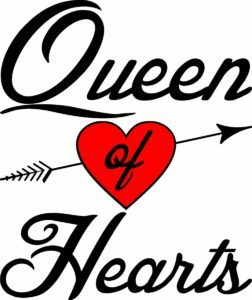 We begin a new round of Queen of Hearts on Tuesday September 4th. A lucky member could win $5,000. Must be a current member of Post 29 to participate. What a week! One of our lucky members won the Queen of Hearts game this week for over $10,000. We will reset the game and Queen of Hearts will return on Tuesday September 4th. See you then! Week #13 is in the books. Our lucky member drew the 9c this week. The pot was $9,850 so we hope to be above $10k next week. See you on August 21st at 6PM. Must be a current member to participate.